Reddit user “Saralentine” started a question forum, stating that they were unsure of which model, Model S or Model 3, they should purchase. They asked which car is worth the price and which car offers what one should aim to seek in a car. According to Reddit user “reefine,” if one is concerned more with a car’s technology, then the Model 3’s interface may be better than the Model S’s. The Model 3 also has a larger battery, which means that it has a longer range. User “pmsyyz” was one of the only users in the forum who suggested the Model S in terms of battery life. They said that the batteries in the vehicle have a higher performance and are easier to cool because of their smaller size. Overall, it seems, between the two cars, the Model 3 is the one that people recommend the most. 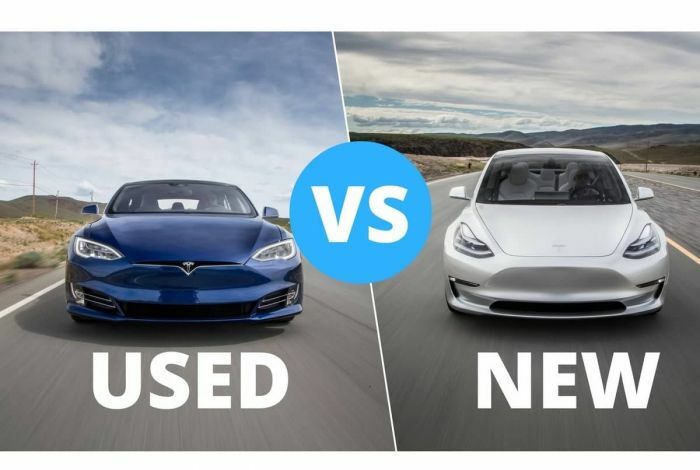 Also, check out these 3 stories discussing some similarities and differences between Tesla Model 3 and Model S.
First, surprisingly, Model 3 has five key advantages over the Model S. Second, here are some opinions from the people who have sat in Tesla Model 3 and Model S. See how they compare them. Third, in case you like camping, here is how it feel to sleep in a Model 3 vs Model S vs Model X. If you know anything about either of the models, which one would you recommend to someone who wants to know which one is worth purchasing? Which one is a better quality car, in your opinion? Please leave your thoughts in the comments. My non-tech answer: We own both; we love both Tesla Model S and Model 3. The Model S is larger so offers a more luxurious cocoon-like feel while the Model 3 is smaller and feels more sporty (lots of fun on winding roads, never having to touch the brake). I would not go from Model S to Model 3unless budget is a concern. I went the opposite way from Tesla Model 3 booking to Model S, many reasons but the features on Model 3 do not justify the 60K price tag. Yes, I did go from Tesla Model S to Model 3. It was the best decision I've made with a car in a while. So much nicer to drive (but I didn't like how huge the S is on the road). 3 is just better designed in so many ways. Yes, the S is better in a few ways, but in the opinion of me and my wife, the 3 wins. We have both: Model 3 and Model S. The tech on Model 3 is more efficient than on my 2015 S85, but we love them both. I have ordered anew Model S 2018 too. For a short time about a month ago I thought about going to a used Tesla Model S. However I have decided that since I’ve waited for the 3 for so long, a couple of more months won’t hurt. I am seriously thinking about switching from Tesla Model S to Model 3. I love the new tech compared to my pre AP S. But the Model S is a nice car. We went the opposite. Went down to fashion island on the first day Model 3 was available in showroom. We got to sit in it, play with the controls, check out the space, then test drive the S. Although the Model 3 was nice but a little too small for our numerous road trip and camping outings. Yes, the price difference was there, but once we weighted all the feature that the S has, my wife will be a happy girl.